Chia seeds are an ancient fuel source used for centuries by some of the world’s healthiest people. These super seeds contain and abundance of life-enhancing nutrients such as omega-3 fatty acids and anti-oxidants. In this article, you will discover the top 3 health benefits of chia seeds and great recipes so you know how to use it. Chia seeds are native to South America where they were revered by two of the most powerful tribes the Aztecs and Mayans. These tribes considered chia to be more valuable than gold. The Aztecs would traditionally consume chia before going into war or before a big hunt for extra energy and stamina. Chia is easy to grow as it survives in very temperate environments and is quite self-sustaining. It is hardly bothered by insects and grows very efficiently. An individual could survive quite well on chia alone due to the rich blend of nutrients it provides (1). Chia boasts an impressive array of flavonoid and polyphenol anti-oxidants including quercetin, kaempferol, chlorogenic acid and caffeic acid. It has three times the amount of anti-oxidants as blueberries for equal volume (2, 3). 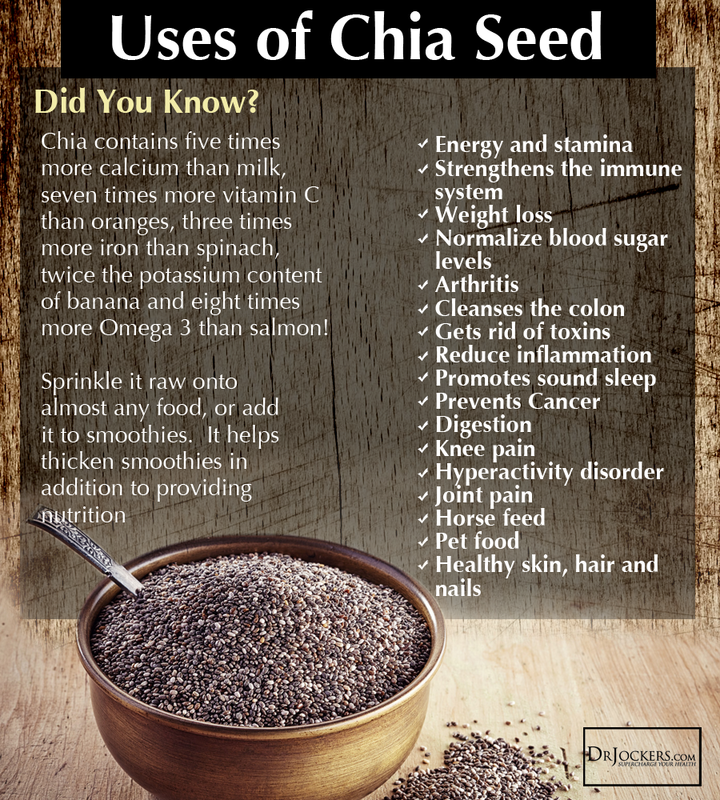 Chia is also loaded with the small chain omega-3 fatty acid ALA and soluble and insoluble fibers. These key nutrients make chia a powerful defense against everyday stress and chronic disease processes. Chia seeds nutritional components include healthy fats, anti-oxidants clean proteins and fiber. Chia contains no sugar and very minimal amounts of non-fibrous carbohydrates. Chia also contains high levels of calcium, magnesium and potassium. 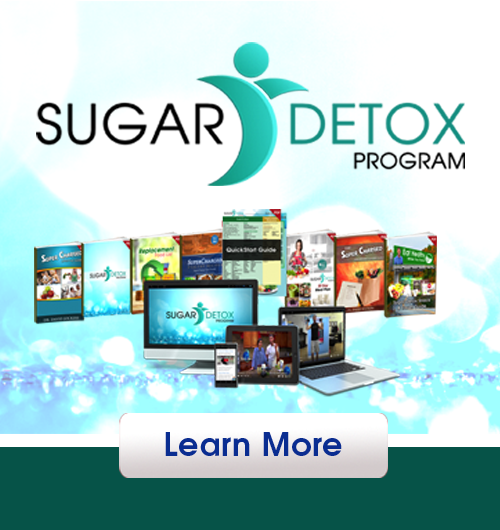 This combination is perfect for healthy blood sugar levels and sustained energy. A diet that includes chia seeds is a powerful combatant for diabetes, heart disease and metabolic syndrome (4, 5, 6). The healthy gut bacteria that are digestive system depends upon thrive off of different forms of fiber. 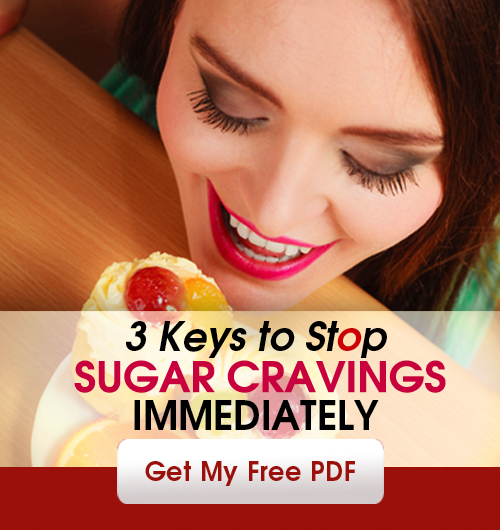 Sugar is the enemy of these life giving microorganisms because it feeds the parasitic organisms that are in competition. Chia’s makeup of essential fats, anti-parasitic anti-oxidants and rich array of fibers is a perfect nutritional blend to build a healthy gut. The chia fibers are able to absorb ten times their weight in water which helps to hydrate the colon and move toxins out of the gut. The blend of insoluble and soluble fiber helps to sweep and sponge microorganisms and environmental toxins out of the colon and into the feces (7, 8). Chia is loaded with omega 3 fatty acids and nueroprotective anti-oxidants such as quercetin, caffeic and chlorogenic acid. These essential fats and anti-oxidants produce cell membranes that are more flexible and efficient (9, 10, 11). Healthier cell membranes results in more efficient nutrient delivery systems and faster nerve transmission processes. This improves brain function including memory and concentration. Chia seeds can be used in a wide variety of dishes including soups, no-grain cereals, smoothies and baked goods. They are also a great addition to any salad or veggie sauté. Many vegans are lacking healthy proteins and fats in their diet while many carnivores lack anti-oxidants and fibers in their diet. Chia is the perfect addition for both of these groups. To optimize your health look to add two to four tablespoons of this superfood into your diet daily. Two tablespoons of chia give you seven grams of fiber, four grams of protein and five grams of omega 3 fatty acids. I like Navitas raw chia seeds here. 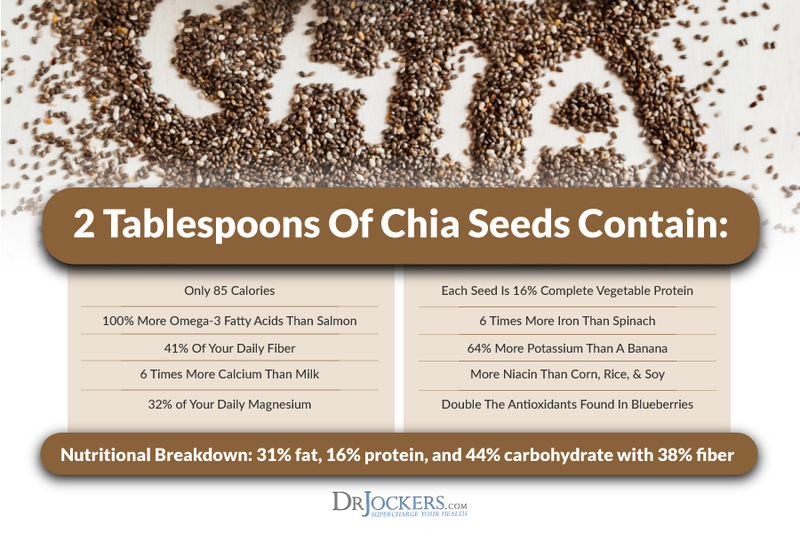 We have many great chia seed recipes on DrJockers.com including chocolate chia protein bites, chocolate chia super smoothie and Berry Chia Seed Jam. While in the grocery store, I saw a display for quality chia seeds and bought our first supply because I remembered you posting this article. Thank you for always keeping us informed on helpful nutrients. where to buy CHia seeds and flower in city of Sarnia,ON,C ANADA? Hi Dusan, any local health food store should carry chia seeds near you!